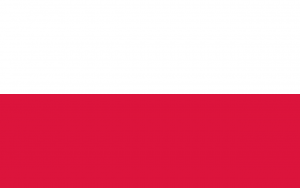 Poland did best in the Eurovision Song Contest in the first year they entered the competition… 1994. They placed second that year and apart from a seventh place finish in 2003, things have been a bit lean; six times they’ve failed to qualify for the Grand Final and four times they didn’t participate in the competition. They placed 23rd out of 27 countries last year with just ten points in their tally, but Michał Szpak reckons he’s got just what it takes to lead the country to victory in 2016. The former runner-up on the first season of Polish ‘X Factor’ is still just 25 years of age, but has achieved plenty in his career thus far, including a record deal with Sony Music and a win in last year’s National Festival of Polish Song. ‘Colour Of Your Life’ is a big pop ballad with big pop vocals and contains not one, but TWO key changes. Just as an aside, is it just us or does Michał bear more than a little passing resemblance to Eurovision’s 2014 winner?